Car parking and edutech. Are you considerate? This picture was taken by me in central London yesterday. 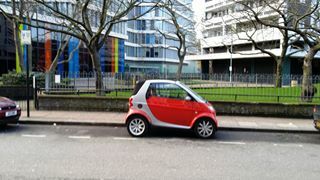 It shows a Smart car parked slap bang in the middle of a large space. But this is not what you might think. The Smart car came last, not first. The large parking space was made available by two estate cars leaving at the same time. 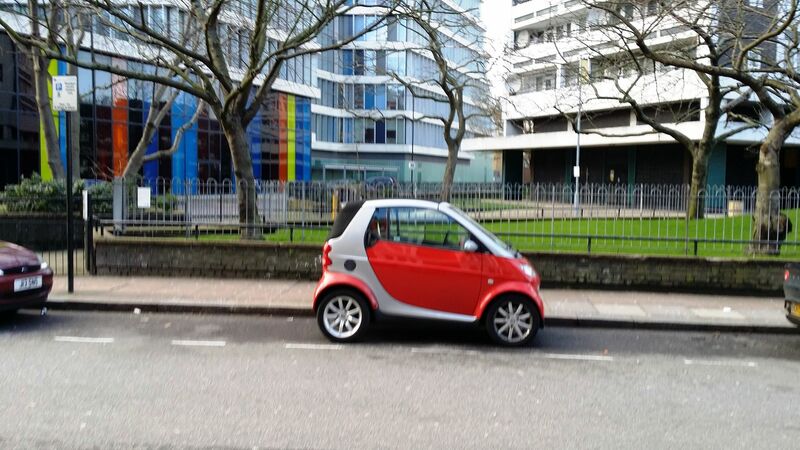 The Smart car’s driver saw the space and backed in. Watching from across the road, I naturally thought she would close up to one of the two book-end cars but no, she parked right in the centre thereby denying parking possibilities to most family size cars. Totally selfish and inconsiderate. And if she thought she was protecting her car from parker’s knocks, she didn’t because later on two cars tried to squeeze into each of the two available spaces scratching her car front and rear in the process. Ce qu'elle méritait? Being considerate to others costs nothing and is rewarding to both the giver and the receiver. Me, me, me is an attitude that delivers diminishing returns. None of us live in isolation. We all depend on each other in some measure to live our lives to the full. Relating this life philosophy to edutech, teachers can demonstrate consideration on a daily basis. If using an IBW, wiping it clean with a damp cloth when used with ink markers is a consideration to other teachers. Sharing digital resources and software with others is also very considerate and giving end-of-school time to those teachers who are struggling with their classroom technology would be greatly appreciated. Edutech’s massive and beneficial deliverables are made all the greater by sharing amongst teachers and in this way everyone in the school benefits. And if you want to take consideration to the widest audience, there are resource and lesson sharing sites such as Gynzy and Teacherspayteachers where your good work could benefit disadvantaged pupils on another continent. Parking. Edutech. It’s all a matter of consideration.